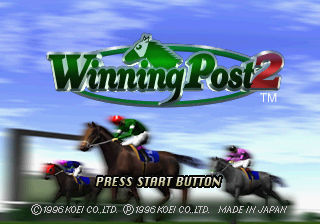 Winning Post 2 (ウイニングポスト２), is a Sega Saturn sequel to Winning Post. In North America this game is also known as Winning Post as the original Mega CD game was not released there. Main article: Winning Post 2/Magazine articles.